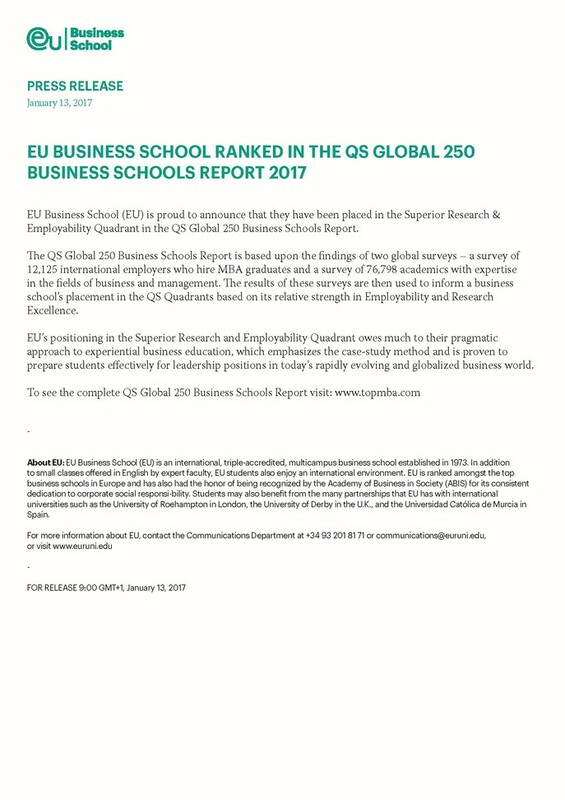 EU Business School (EU) is proud to announce that they have been placed in the Superior Research & Employability Quadrant in the QS Global 250 Business Schools Report. The QS Global 250 Business Schools Report is based upon the findings of two global surveys – a survey of 12,125 international employers who hire MBA graduates and a survey of 76,798 academics with expertise in the fields of business and management. The results of these surveys are then used to inform a business school’s placement in the QS Quadrants based on its relative strength in Employability and Research Excellence.